O Muslims! Make Ramadhan the month of victory again by re-establishing the Khilafah. Alhamdulillah, the blessed month of Ramadhan is upon the Muslims again. Ramadhan is the month within which al-Quran al-Kareem was sent down from Lauh al-Mahfooz to Bayt ul-Izza. It is the month within which there is a night, Laylut al-Qadr, which is better than a thousand months for those who witness it in worship. And it is the month in which Allah سبحانه وتعالى commands the Muslims to fast, ties up the Shayateen, locks the gates of Hell and opens the gate of Heaven, allowing the Muslims to raise themselves in piety and draw strength from their Lord, Al-Qawwy, Al-Azeem. 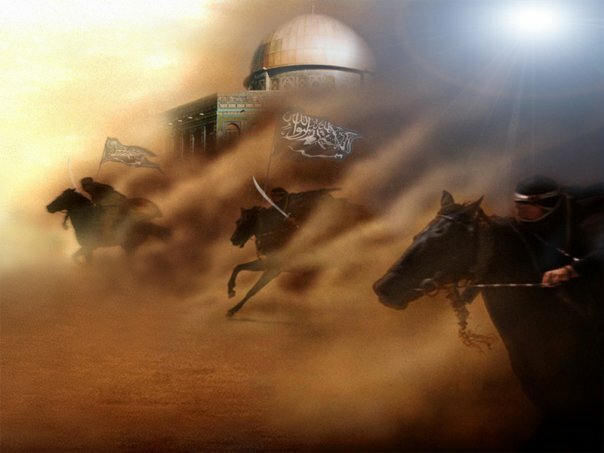 And in the centuries of Islamic rule after the era of RasulAllah ﷺ and the Khulafa’a Rashida رضوان الله عليهم, the Islamic Khilafah State achieved major victories during Ramadhan whilst facing formidable enemies. The Muslims succeeded in expelling the occupying Crusaders from Ash-Sham even though they had settled on some parts of it for well over a century. The Muslims prevailed over the barbaric Tartars at Ein Jaloot, even though they had inflicted terrible destruction upon the Muslims before. So, whilst the Muslims ruled by Islam, with their affairs governed by all that Allah سبحانه وتعالى has revealed, Ramadhan was the month of victory over the opponents of Islam and Muslims. However, this Ramadhan, without the Islamic Khilafah State, the Ummah faces subjugation by its enemies in almost every sphere of life. This Ramadhan the Muslims count their dead as the colonialist nations enforce their occupation of Muslims Lands in Afghanistan, Iraq, Palestine and Kashmir. This Ramadhan, the armies of the Muslims are withheld from helping the Muslims but are sent without hesitation to protect the colonialists from the Muslims. This Ramadhan, the Muslims face an onslaught against their most precious possession, their deen, as the western colonialists spread corrupt ideas through reforming the education syllabuses as well as through the media and advertising. And this Ramadhan, Muslims face mounting hardships as these colonialists exploit the immense resources of the Ummah. So, despite the fact that the Ummah is a giant in terms of its lands, material resources, population and armies and its greatest asset, the one true deen, Islam, it lies in humiliation before the disbelievers. This matter was inevitable because without the Islamic Khilafah State, politics and ruling are no longer about ordering the Ma’roof (Good) and forbidding the Munkar (Evil). Instead politics and ruling have been reduced to ordering what the colonialists desire and forbidding what the colonialists detest. Politics is no longer about looking after the affairs of the Muslims by seeking the good pleasure of Allah سبحانه وتعالى. Instead politics has been sullied into to a cheap competition to please the colonialists, between the current rulers and those who seek to succeed them in ruling.